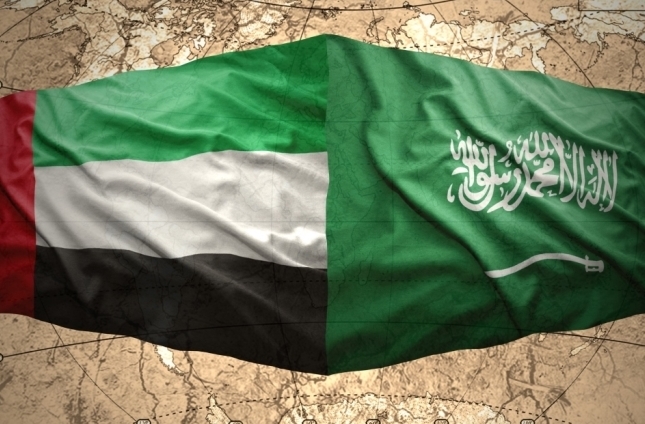 The two countries forming the solid backbone of our region in turmoil are the Kingdom of #Saudi_Arabia and the United Arab #Emirates, whose leaders have consistently displayed great strength, wisdom as well as loyalty to their people and to each other. And never more so than nowadays! Our mutual enemies dream of dividing us, weakening us, setting us against each other using falsehoods and innuendos but they can never succeed. Rest assured that the Custodian of the Two Holy Mosques #King_Salman bin Abdulaziz and His Highness #Sheikh_Khalifa_bin_Zayed Al-Nahyan, President of the #UAE understand their nefarious games only too well. Emiratis and Saudis are brothers sharing the same faith, language, culture, traditions, tribal roots and, in many cases, the same bloodlines. The food we eat is similar. We admire the same heroes and poets. In short, our ties have been solidified by our leaders over generations and go back long before God’s word was delivered to the Prophet Mohamed (PBUH). They extend back beyond the lifetime of Hatim Al-Taee, a beloved poet from Ha’il, renowned for his exceptional generosity, who died in 578. Growing up, the phrase “More generous than Hatim” was commonly used. Our forefathers were also inspired by the bravery of Antarah bin Shaddad from Najd, a slave whose personality, poetic gifts and heroism in battle secured his freedom until he met his maker in the year 608. Our peoples were close even further back; friendships were formed when our camel trains navigated harsh desert conditions to trade in goods. That was a time before passports and borders were invented. We were all Arabs of the Arabian Peninsula enjoying the hospitality of strangers during long journeys. Modernity’s march has changed our lifestyles and our cities beyond recognition, but we have never abandoned our core values or friendships. I long for the day when all borders are opened for Emirati and Saudi nationals. The Kingdom is currently undergoing a major economic and social transition fuelled by Prince #Mohammed_bin_Salman, its young and dynamic Crown Prince with the blessing of his father, His Majesty #King_Salman. The #UAE is ready to advise and lend its support to these courageous transformative initiatives in every way possible. We stand shoulder to shoulder with KSA during its upward thrust and look to expand our geopolitical, security, economic and social partnership as well as in the fields of education, sports, healthcare and technology. We have much to offer each other; together we can break all boundaries to open wide all doors between our two great Arab nations whose economic strengths have overtaken all others within the region. Like that of the #Emirates, the Saudi economy flourishes on both oil and non-oil related sectors and it is home to some of the world’s largest multi-nationals in numerous fields. These two Gulf States are leading the Arab World in development and innovation, albeit differently but with similar visions to engender growth and opportunity for all their nationals. United, our economies will flourish able to withstand all shocks and I predict we will soon join the world’s top ten economic forces. There are many partnerships in our world based on temporary colliding interests that alter according to circumstances, but ours is not one of them. We are not only bound by blood and history, we need each other like one body breathing from the same lungs with hearts beating to the same rhythm. We are brothers and like all brothers we may have differences of opinion but ultimately our family is one and our future is one. Our countries are on the exact same page when it comes to defeating the evils of extremism and terrorism threatening the peace and security of our peoples and others around the world, which is why we have bolstered our military, monitoring and intelligence apparatuses and coordinate on all fronts. We now have the ability to defend not only ourselves but also those of our friends and neighbours willing to attach themselves to our iron-clad union as a protection against the biggest terrorist state #Iran casting a dark shadow over all of us and its satellites ruining #Iraq, #Syria, #Lebanon and, of course, #Yemen, which thanks to the assertiveness of our rulers will soon be liberated from the Iranian mullahs’ destructive hands. I cannot stress enough the importance of continued transparency and two-way dialogue in our relationship. Mistrust must never be allowed to creep in. As long as ‘clarity and simplicity’ is the rule – as it was in the past – it never will. Our enemies want to weaken our relationship, so that they can take hold of more of our region, but our ties and beliefs are too strong to be weakened by intimidation tactics. I thank God for giving us exceptional leaders who have joined hands in raising the flag of our nations on the international arena and are committed to defending our peoples from threats in our ever more dangerous world.